As someone whose job regularly involves interviewing the famous and fabulous -- usually after a morning spent getting my 11 year-old up, out the door and at the bus stop by 7:30 -- I don't have a lot of time to spend thinking about my wardrobe or putting myself together. 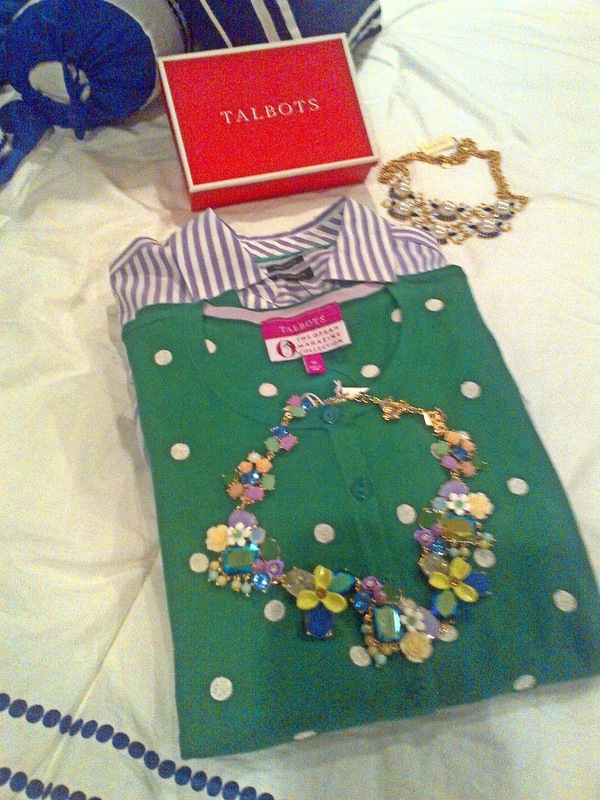 That's why I love Talbots. It's really one of fashion's best-kept secrets. Every dress I wear to Michael's each week to 'Lunch' with a bold face name comes from Talbots. Easy, effortless and elegant. Their classic, well-cut designs are offered in yummy jewel tones that flatter and look great in photos. They're also the perfect backdrop to the statement necklaces that have become something of a signature for me. I've been wearing Talbots' clothes (their jeans fit me perfectly! )for years and recently noticed the label has slowly but surely overtaken my closet. My latest obsession: their collaboration with Oprah magazine spearheaded by creative director Adam Glassman. Fabulous! The styles from The Oprah Magazine Collection for Talbots are fun, feminine and young in a gorgeous spring palette of lavender, green and navy. More good news: you are doing good besides looking good when you buy something from the limited edition collection -- 30 percent of the net proceeds of each item sold goes to Dress For Success, an organization which helps women in need get back into the workforce by providing resources including a professional wardrobe. This collection is going to go fast, so don't miss it!